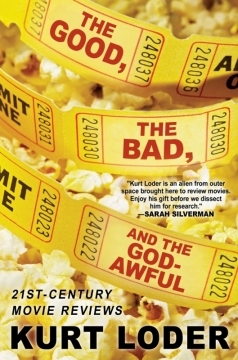 The former Rolling Stone writer and MTV host takes off from classic Roger Ebert and sails boldly into the new millennium with The Good, The Bad, and the God-awful – 21st Century Movie Reviews. Millions grew up reading the author’s record reviews and watching him on MTV’s “The Week in Rock.” In this collection of more than 200 movie reviews from MTV.com and, more recently, the Reason magazine Website, plus sidebars exclusive to this volume, Loder demonstrates his characteristic wry voice and finely honed observations. The author shines when writing on the best that Hollywood and indie filmmakers have to offer, and his negative reviews are sometimes more fun than his raves. This freewheeling survey of the wild, the wonderful and the altogether otherwise is an indispensable book for any film buff.